Although remarkable progress has been made in recent decades to reduce the number of child deaths worldwide, too many newborns continue to die each year despite the availability of feasible, evidence-based solutions. 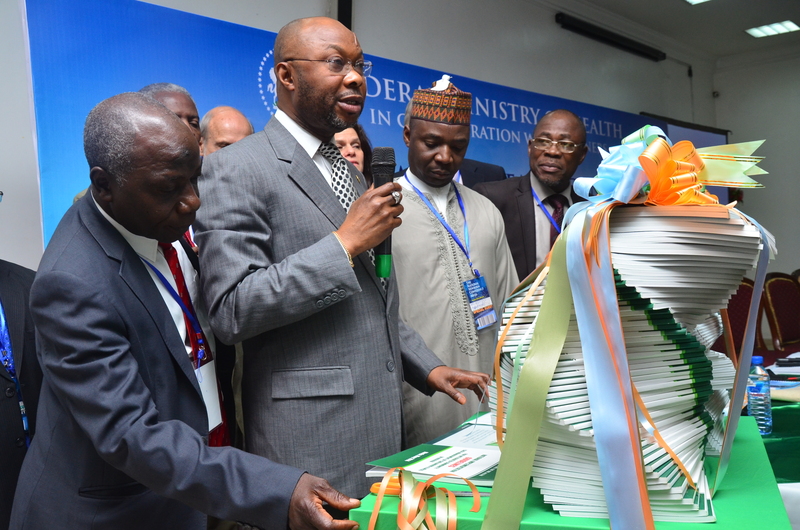 In Nigeria, available data from the last three Nigeria Demographic and Health Surveys (NDHS 2003, 2008 and 2013) suggest that the synergistic efforts of Governments and partners have resulted in some improvement in overall childhood mortality with 36% improvement in under-five mortality falling from 201 through 157 to 128 per 1000 live births. Infant Mortality also recorded 31% improvement as it fell from 100 through 75 then 65 per 1000 live births. Neonatal Mortality Rates for the country only gained a marginal 23% drop from 48 through 40 to 37 per 1000 live births from 2003, 2008 and 2013. Trend analysis of the WHO/Child Health Epidemiology Reference Group (CHERG) reports in Countdown 2012 and 2014 also shows that the contribution of newborn deaths to total under-five deaths in Nigeria has increased from 29% to 32%. This implies that it will be improbable that Nigeria will further reduce under-five Mortalities without significant reduction in Neonatal deaths. As part of Government effort to reduce U-5 death, the Infant, Maternal and Newborn Child Health (IMNCH-MDG) budget line was established in 2011 to provide for implementation of cost effective maternal health interventions. The Maternal Newborn and Child Health (MNCH) week was adopted as a strategy of improving access to quality service delivery for the underserved populations. Nigeria also adopted the Subsidy Reinvestment &Empowerment Program, a $100 million per year commitment four year programme and Midwife Service Scheme (MSS) with improvements in MNCH commodities supply, equipment and refurbishment of infrastructure at service delivery points. In-order to improve the skills of the Nigerian frontline health workers, the Essential Newborn Care training package was adopted for in-service trainings while the pre-service training curriculum of all cadre are being revised. Community Health Extension Workers (CHEWs) are also being trained on Community based newborn care. “It is of note that Mr. President has worked as co-chair on the UN Commission on Life-Saving Commodities for Women and Children (the Commission). 15 essential commodities were selected for Nigeria along the continuum of care out of these, four are specifically for neonatal health namely: Chlorhexidine, Injectable antibiotics, Antenatal corticosteroids, and Neonatal resuscitation devices” Alhassan said he also noted that Nigeria adopted the use of chlorhexidine for newborn cord care. “As part of ensuring availability, Nigeria is the First Country in the African continent, locally manufacturing Chlorhexidine” he stated The launch of the Government of Nigeria’s Saving One Million Lives Initiative and the recent launch of the Universal Health Care Initiative show that the platform to reach every woman, newborn and child is already set; what is needed is commitment at state & LGA levels to ensure that all these interventions reach every woman & child anywhere they are across the country. He noted that “the PHC system will be a good platform for Nigeria to deliver on this newborn action plan”He further explained that the gap between the U-5 mortality and neonatal death is “quite huge and that is why we are trying to bridge it so that neonatal deaths will be reduced to the barest minimum, we have developed a road map that will make that happen and that includes the availability of life saving commodities in our facilities Chlorhexidine, Injectable antibiotics, Antenatal corticosteroids, and Neonatal resuscitation devices are already available it is left for us to translate this commitment into action” Ado said. The launch of Every Newborn Action Plan for Nigeria will give birth to a country where there are no preventable deaths of newborns or still births, where every pregnancy is wanted, every birth celebrated and women, babies and children survive, thrive and reach their full potential.